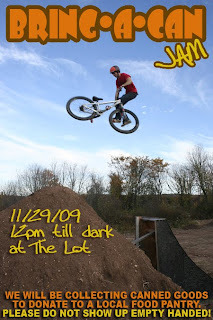 We're capping off the Thanksgiving Weekend and 2009 with one last Jam. Please come out and bring some canned goods which we'll be donating to a local food shelter. Help out those in need this holiday season!...and have fun doing it at The Lot!